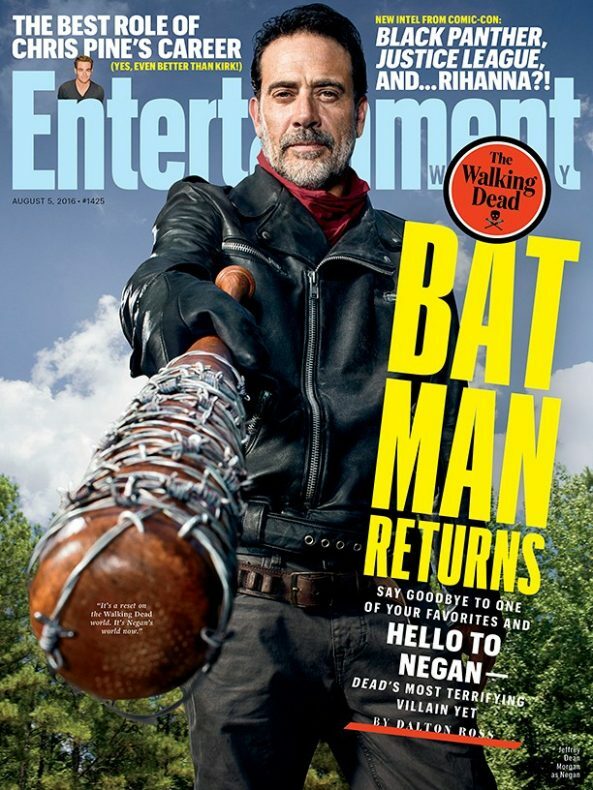 Entertainment Weekly just put Jeffrey Dean Morgan on the cover of their latest issue, waving Lucille in the reader’s face. No doubt there are fresh interviews with Walking Dead cast and staff inside, but the issue’s content has yet to be posted online. EW did release a blurb from Negan’s actor about what to expect from the upcoming season. What Morgan said is similar to what other actors have said about Season 7, but with one key difference. Can you find it? That’s correct, he said “some of your characters” won’t be on the show, plural. This has led to a widely circulating theory that Negan is going to take more than one victim when October rolls around. We can’t confirm anything, though, and AMC wouldn’t let us anyway. Below is the video EW took of Morgan’s photo shoot. While they had him there, they captured his opinion on swearing. The Walking Dead will return October 23 on AMC.